When compared to the Windows Vista, the new Windows 7 is just bliss. It got a lot of good reviews. Compared to the Vista, Windows 7 is much more compatible, which, of course, makes it preferred to the previous operating system. The differences between Windows 7 and the Vista aren’t as noticeable as they were between Vista and XP. This is why adaptability to the new version was easier. Most of the programs are compatible to Windows 7, but there are still some issues to be solved and can’t be avoided. The most encountered issue related to windows 7 is the driver compatibility because the low-level code they have in the system. Whenever changing the operating system, the drivers which are already installed will look to work with those operating system parts which they were set for, but no longer exist. And they will fail to function. Starting from this malfunctioning, more parts of the computer will malfunction and new drivers require to be installed. 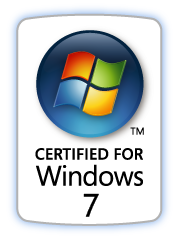 Drivers which previously worked on the Windows Vista operating system will function very well with the new Windows 7. Problems occur when passing from XP to the Windows 7 and it is going to be needed a whole new set of drivers to match the new operating system, from the programs running on your computer to the devices connected to your PC. However, this is not a problem since every vendor provides drivers compatible to any operating system and they all can be found on the vendors’ websites. For instance, if you are using a video card from Nvidia, you will download the video drivers from the Nvidia website. The same happens if you have a HP printer; go to the HP website and download the driver compatible with the Windows 7. From this point on, drivers compatibility with the Windows 7 won’t be a problem any more.